The easy to wear Bottineau Pullover is perfect for curling up in. 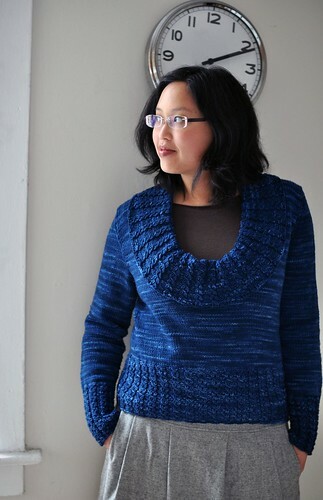 The super soft yarn is cozy, but the open cowlneck helps keep you from overheating. A relaxed fit in the body and sleeves is accented by a slip stitch mock rib pattern which draws in to the waist. 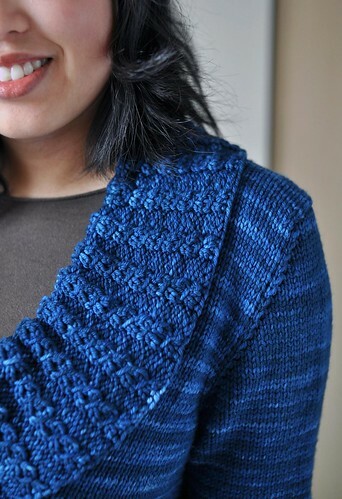 The oversized cowl is worked in the same pattern with increases to help it lay open. Dress down with jeans and boots, or layer Bottineau over a dress for a cool night out. Shown in size 36” / 91cm with zero ease. For the best fit, choose the size which is the same or slightly larger than your full bust measurement. 6-page PDF pattern includes photos, abbreviations, and schematic. Measurements given in imperial and metric.